Curvy Couture™ – Lingerie focused on innovation, fit and body confidence. Though the product quality was exceptional, the brand struggled to gain awareness among retailers and consumers. The Intimatology team was brought in to evaluate the brand. We remerchandised and repositioned the product with all new marketing and communication, capturing the quality and luxury of the innovative brand. Throughout our partnership we created catalogs, packaging and advertising as well as full service online maintenance, digital marketing, comprehensive web design, and monthly home page revisions to keep the site fresh and engaging. We performed social media support to help grow brand awareness and deployed list building techniques to promote customer loyalty and foster repeat business. 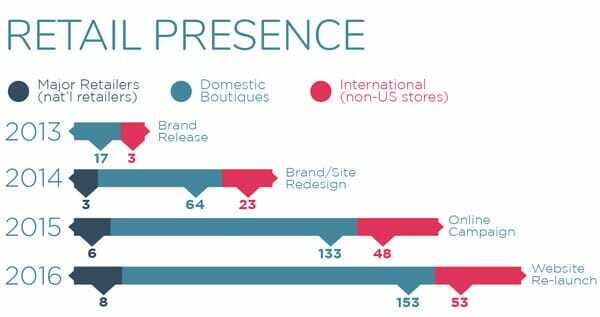 During the time in which we partnered with Curvy Couture, the brand saw an exponential increase in retail presence, both in new and existing markets. A dramatic increase in website traffic was experienced with each new layer of digital design and web development. 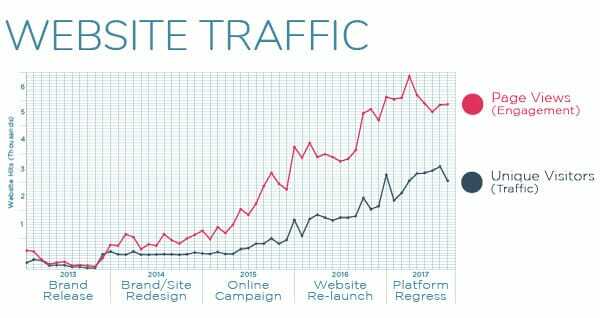 Customer engagement rose measureably, beyond proportionate increase in relation to traffic and awareness, notably at the culmination of our core digital campaign and again in relation to our UX improvements in 2016.